Muddle orange and simple syrup in a cocktail shaker. 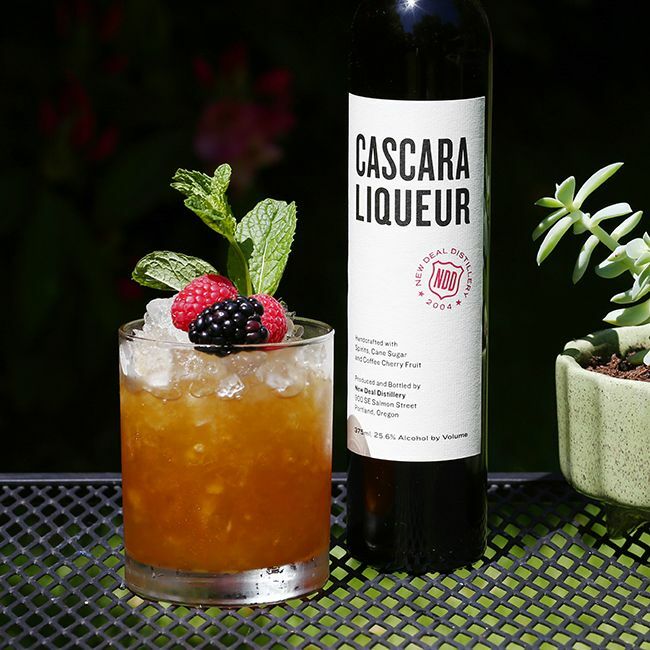 Add Cascara Liqueur and shake with ice. Strain into a glass over fresh ice and garnish with mint, berries, and lemon.